The International Monetary Fund has just canceled Haiti's $268 million debt, a decision they say which is part of a long-term plan for Haiti's post-earthquake reconstruction. Not only that, the International Monetary Fund (IMF) also announced that they will lend Haiti another $60 million to help it with reconstruction plans. Keep in mind, this is a loan, not a gift. Billions are pledged, Millions have been collected, but Haiti, it seems, is still borrowing money. 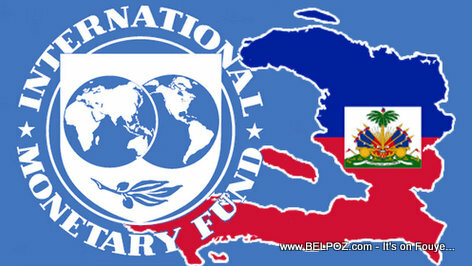 It is a three-year loan to Haiti at zero percent interest until 2011 then 0.5% interest will be paid on the loan. I am not really good at this loan interest calculation thing but I believe Haiti will be paying roughly $1.8 million per year on that loan. But of course, you can tell me your opinion by replying to this article. Haiti needs an other great dictator visions like Henry Christophe. Democracy doesn't work there, it only creates chaos. Haitians in Haiti need disciplines.